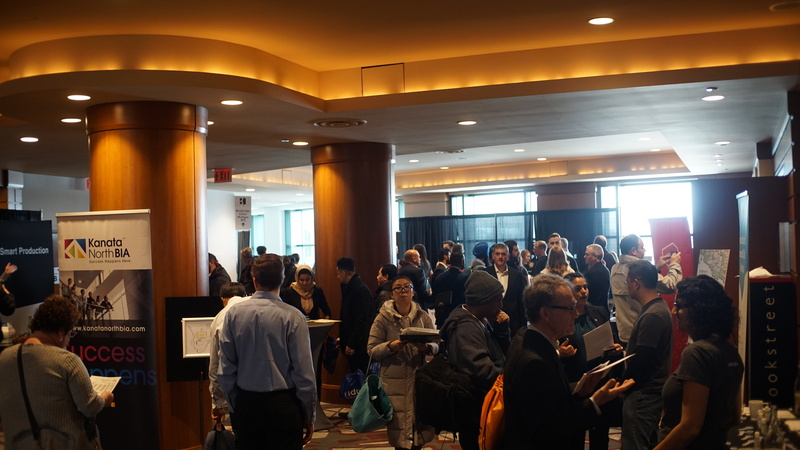 The sustained hiring boom that’s characterized Kanata North’s tech sector in recent years showed no signs of slowing down this week as dozens of the region’s fastest-growing companies turned the Brookstreet Hotel into Ottawa’s largest career fair. This was the event’s biggest year yet, and there’s a clear reason why the roster of participants keeps growing, said Veronica Farmer, the director of operations at the Kanata North Business Association. Now in its fourth year, the 2019 edition of Discover TechNATA featured more than 2,500 attendees and more than 80 exhibitors. “It’s growing like crazy,” said Kylie Hurst, a talent advisor at You.i TV. The Kanata video technology firm has been exhibiting at Discover TechNATA since 2016. You.i TV’s goal at the event this year was to fill a surge of developer positions created to help integrate Facebook’s React Native technology into You.i TV’s platform. Like many other companies, You.i TV uses the event to network with promising future employees and sift through the Ottawa talent pool to fill its growing needs. Hurst is confident they will fill the positions soon. QNX Software Systems, which presented its autonomous vehicle at Discover TechNATA, drew a lot of attention. “This is literally the least number of people lined up,” Kevin Kunka, QNX’s manager of support and integration joked as he pointed at the 20 or so people crowded around his company’s booth. That number would represent roughly a 15 per cent expansion in QNX’s current team at its Kanata North facility. Like Hurst, Kunka is confident they are getting much closer to their target by participating in Discover TechNATA. Ottawa startup Solink was also at Discover TechNATA, interacting with job-seekers to boost its software development team. 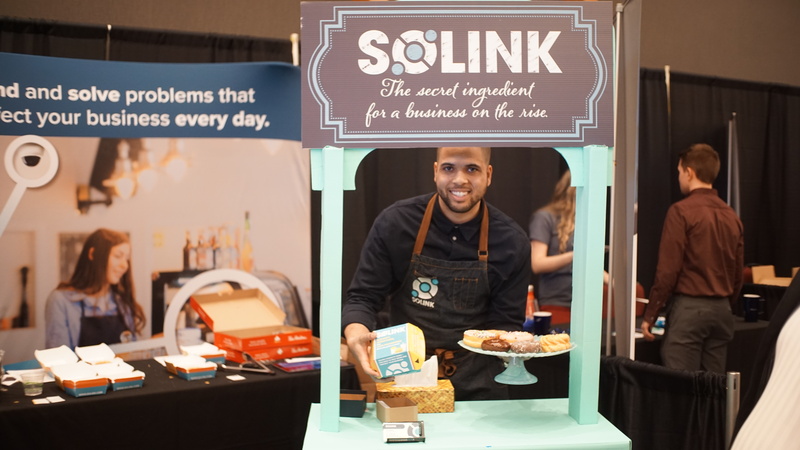 “We are trying to grow an already fast-growing industry in Ottawa,” said Anthony Moussignac, Solink’s business development specialist, noting that the firm likes hiring Ottawa-educated talent as much as possible. Previous ArticleRead the Spring 2019 Kanata Networker!